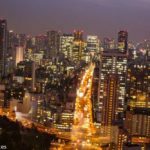 Tokyo is an exhausting city which is why it’s always good to leave it for short breaks. In addition to our day trip to Hakone, we went to Nikko, a UNESCO World Heritage town set in the mountains north of Japan which is home to one of Japan’s most famous shrines. 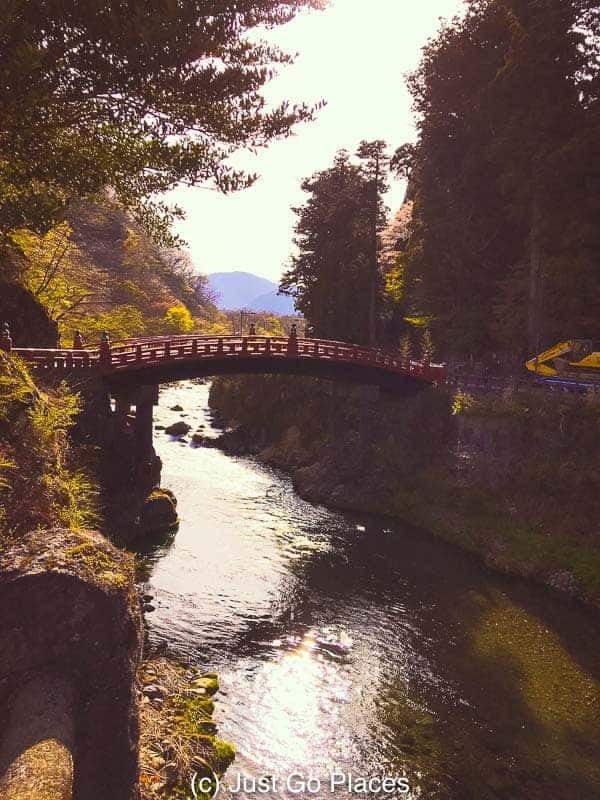 Although going from Tokyo to Nikko by train takes a mere 2 hours, it feels a world away. It was great to get some fresh mountain air and walk around without dodging people and cars. 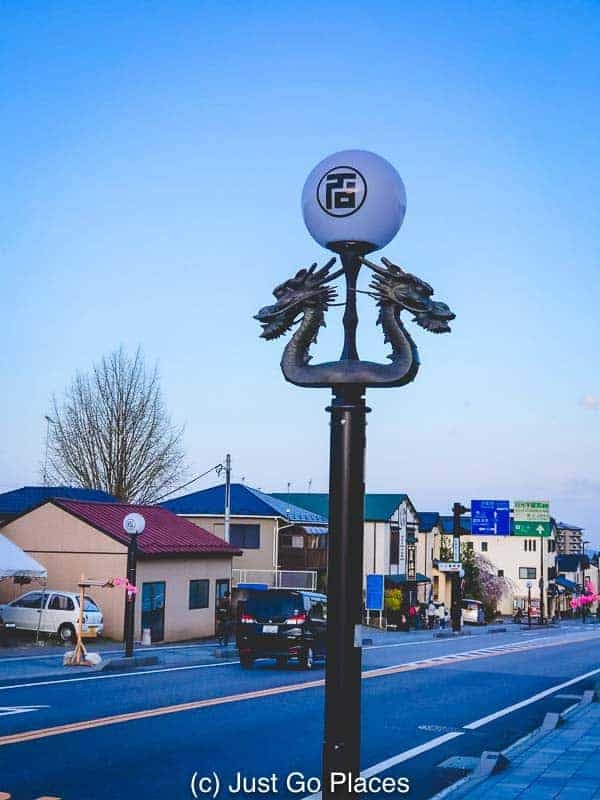 We highly recommend that you take a Nikko day trip to recharge your batteries and to explore an area that is very important to Japanese people. 2.3 Join our growing community of readers! 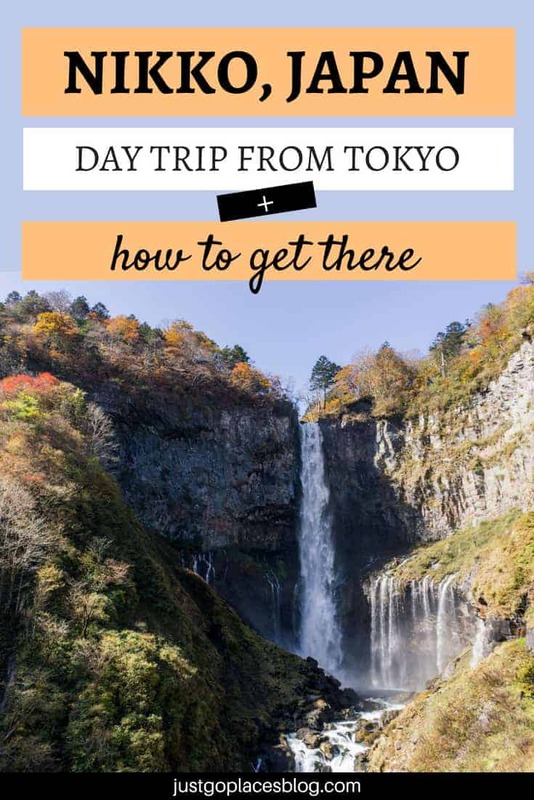 Getting from Tokyo to Nikko by train is very easy. There are 20+ shinkansen (bullet trains) that go from Tokyo station to Utsunomiya station. Then you take a local Nikko line from Utsonomiya to Nikko station which takes about 40 minutes. The waiting time between the Shinkansen and the local Nikko line can be anywhere between 10 minutes to half an hour. 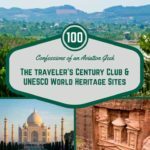 Overall, the trip can take up to 2 hours. Another one of the kawaii cardboard cut-outs that are all over Japan. We went from Tokyo to Nikko using our JR Pass. 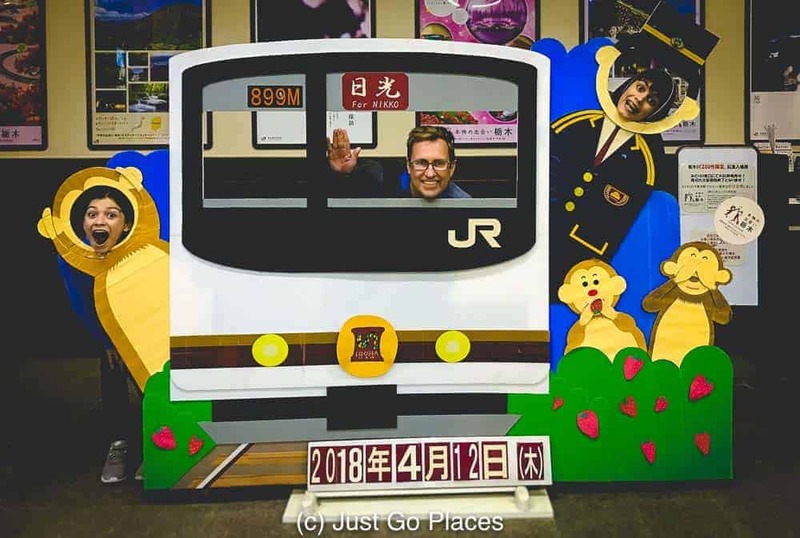 It was all straight-forward and the entire trip was covered by the JR Pass. When you exit from the Shinkansen, follow the signs (in English) marked for Nikko. 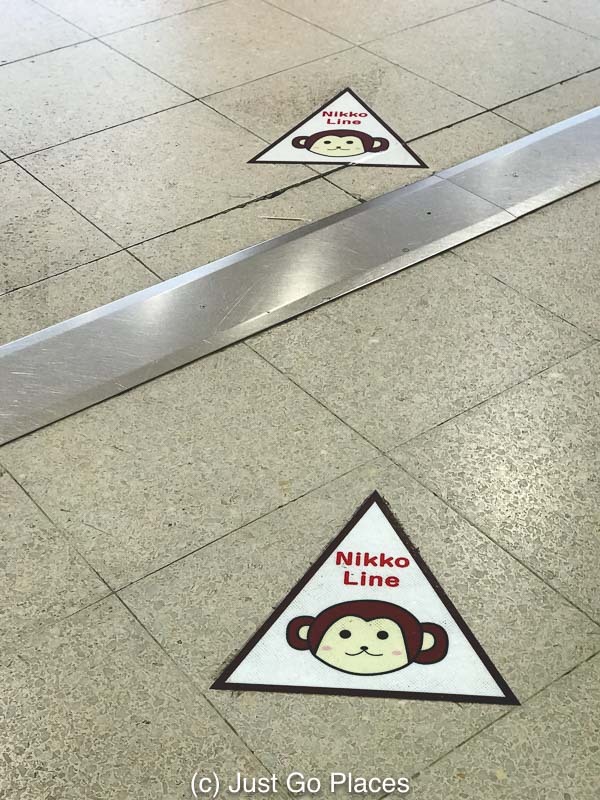 In addition, there are little monkeys on the floor showing you the way to the local Nikko train. The Nikko station itself is tiny. It does have a good tourist office but the lines can be long. Just go to the train ticket office and get a Heritage bus ticket. You can either get round-trip or one-way. Alternatively, you can walk 40 minutes up to the shrine. 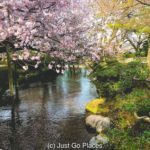 We split the difference and took the bus uphill and meandered downhill at our own pace..
Nikko Sightseeing must include the Nikko Heritage sites. No two ways about it, they are the stars of the show. In addition to Nikko’s heritage sites though, there is nature to explore in the form of Lake Chuzenji and waterfalls. 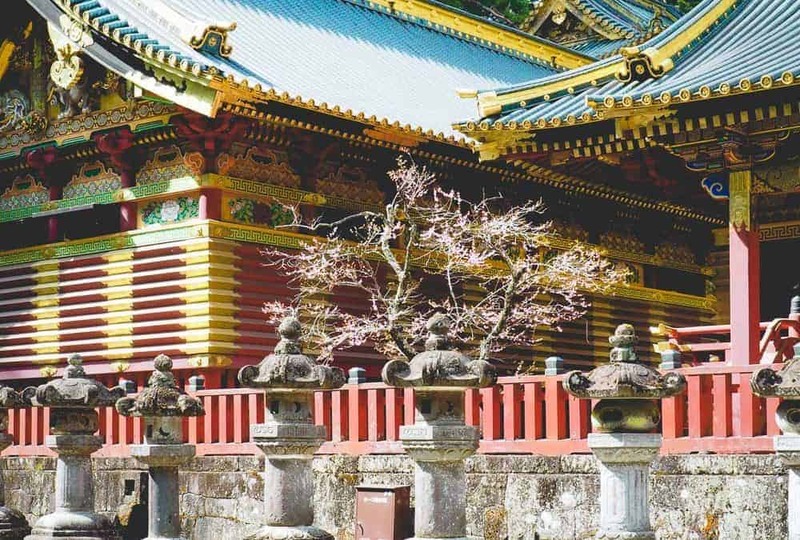 We are city people at heart though and we opted to explore the charming town of Nikko. If you don’t achieve temple/shrine fatigue by the end of visiting Nikko’s heritage sites, you are a superstar. 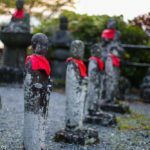 Rinnoji-temple is undergoing renovation which has been ongoing for a couple of years. 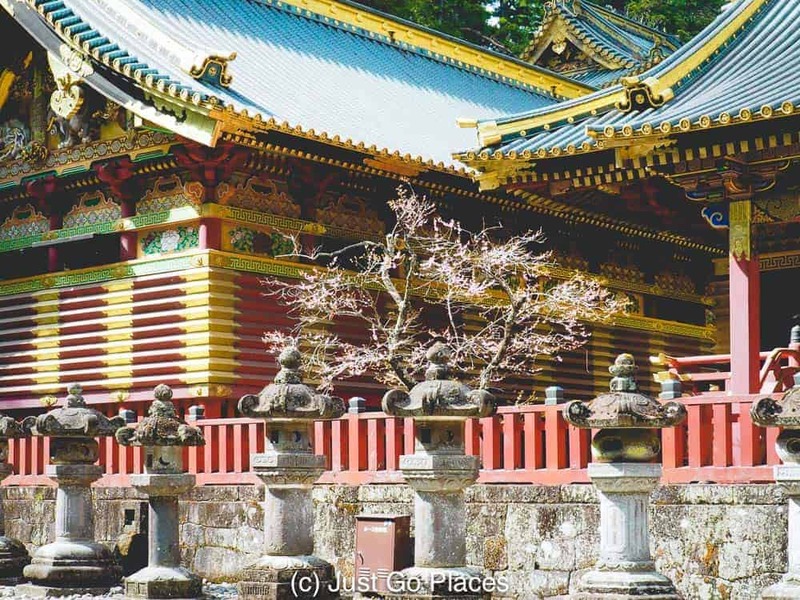 It is dedicated to the Buddhist monk who introduced Buddhism to Nikko in the 8th century. 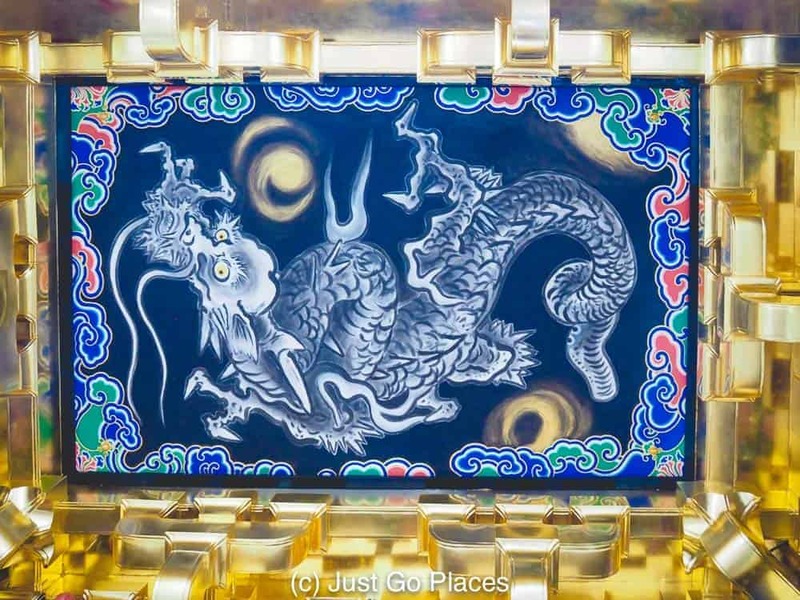 It was believed that a dragon on the ceiling of a Nikko temple protects the building from fire. Why the monkeys everywhere? 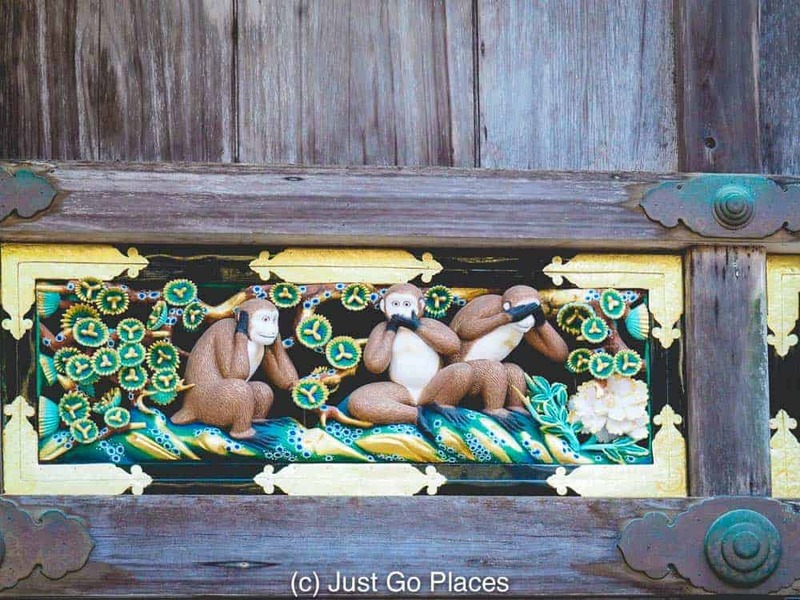 Because Nikko is where that famous saying “see no evil, hear no evil, speak no evil” comes from. It’s a word play on the Japanese word for monkey and is supposed to help children learn Buddhist principles. 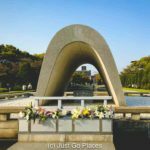 The Toshugu shrine is in honour of Ieyasu Tokugawa, who unified the country under shogun leadership ending years of battling warlords. His grandson built this shrine and clearly he wanted everyone to know his grandpa was THE MAN. 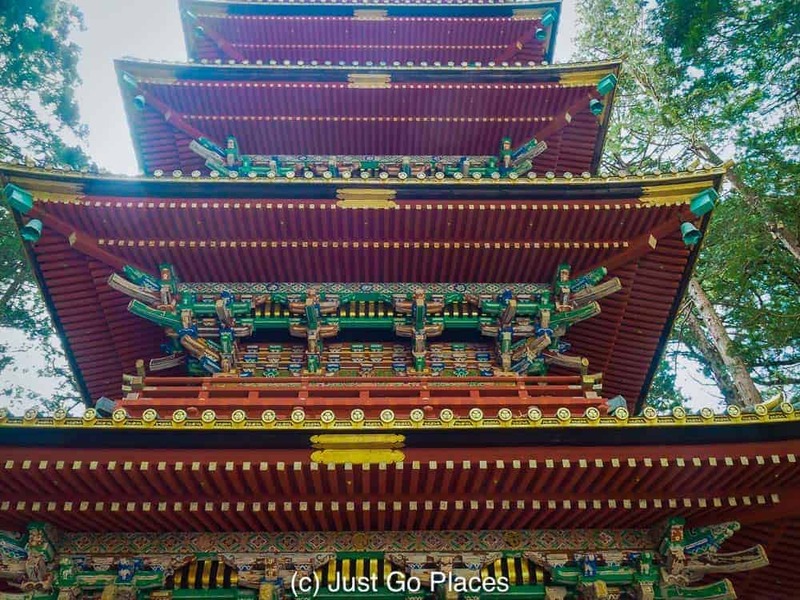 The Nikko Toshugu shrines are unlike anything we had ever seen in Japan. Because it is. Usually shinto shrines have plain aesthetics but the Toshugu shrine is more like Chinese temples. More is simply not enough. 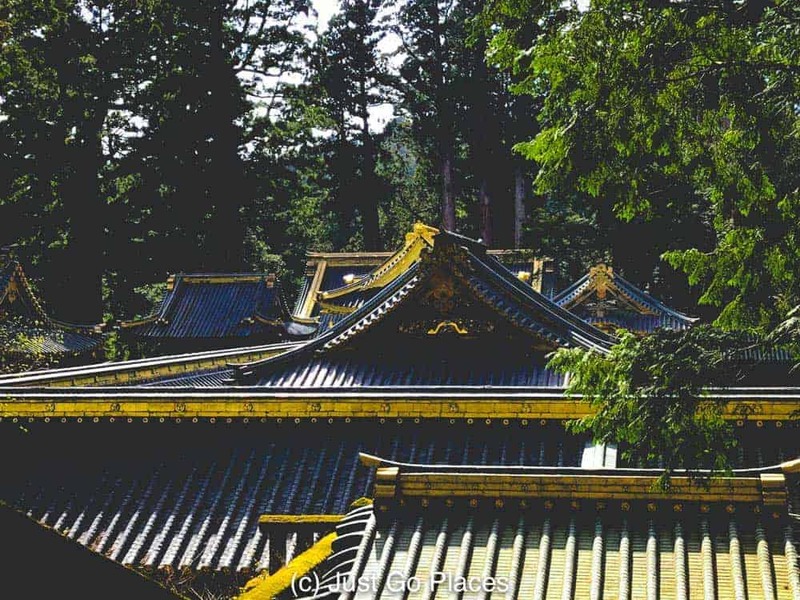 The rooftops at the Nikko Toshugu Shrine complex nestled in the trees. 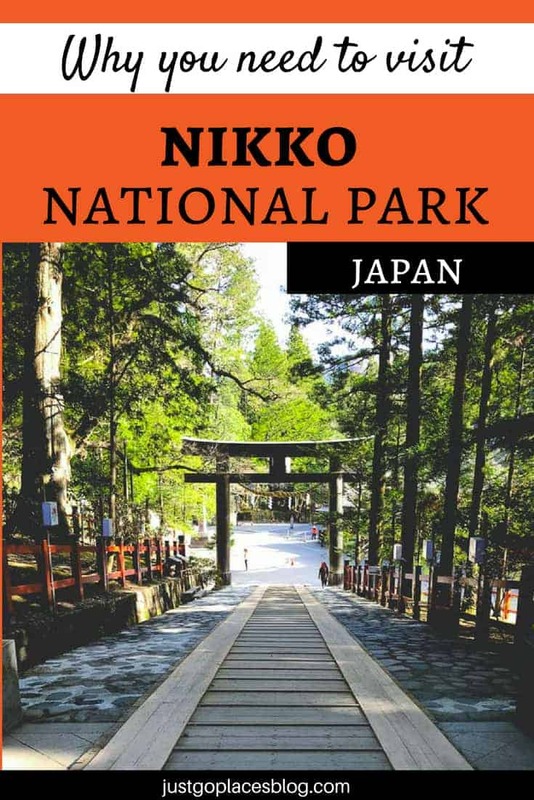 Nikko National Park is considered one of Japan’s most scenic areas – mountains, waterfalls and lakes. 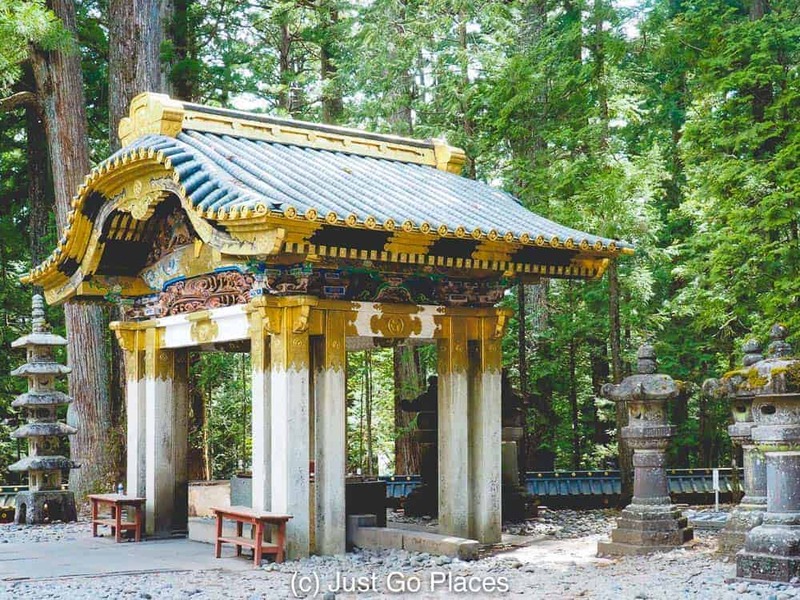 It’s free to enter the park and the temples and shrines are technically within Nikko National Park. We had great food in Nikko at a Japanese restaurant that looked a bit tattered. The walls were covered with post-it notes from all around the world so we knew we had stumbled onto a winner. Hippari-Daku is casual, great for kids and serves yakitori and beer. The town is charming with lots of little souvenir shops, eateries and vintage shops. 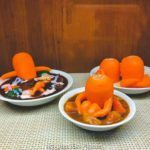 We found some great unusual souvenirs which were cheaper than anything we could find in Tokyo or Kyoto. 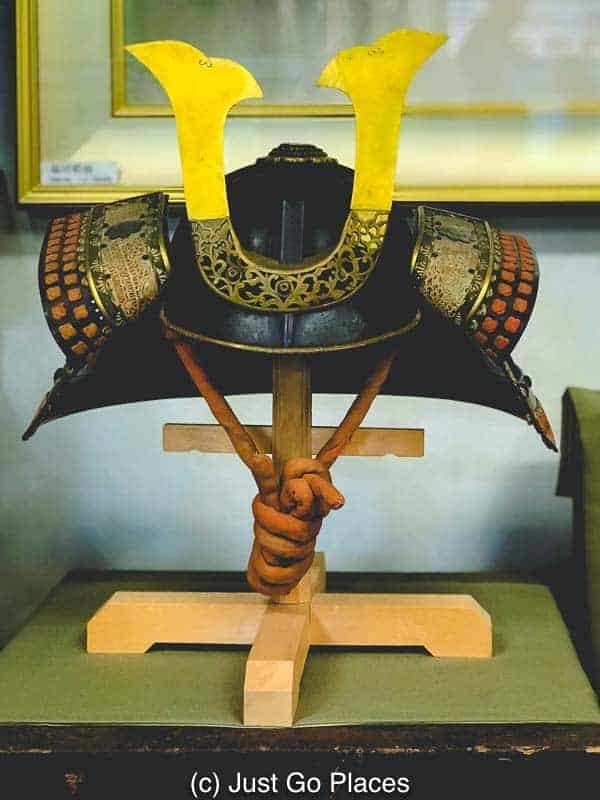 An antique samurai helmet in a store in Nikko – yours for 800,000 Yen (about $8,000). It’s great for browsing with friendly locals. My daughter pronounced the crepe she had from Marion’s creperie one of the best crepe she’s ever had and she is a bit of a crepe connoisseur.